Mt. 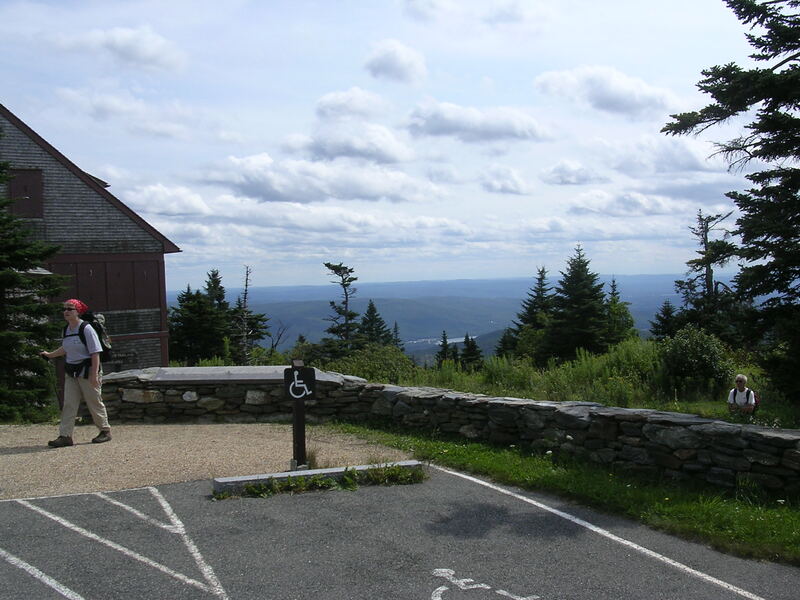 Greylock State Reservation - Lanesborough, MA - Take a day trip! Mt. 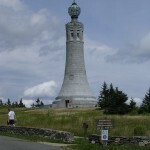 Greylock is the highest mountain in Massachusetts and also home of the highest mountain in the Commonwealth. It covers 6 towns in Massachusetts (Lanesborough, Cheshire, North Adams, Adams, Williamstown and New Ashford). Beyond being the tallest mountain in Massachusetts; Mt. Greylock is a great place in many other ways. It’s a lovely view on a clear day and there are lots of great activities you can enjoy as well in this very large reservation. 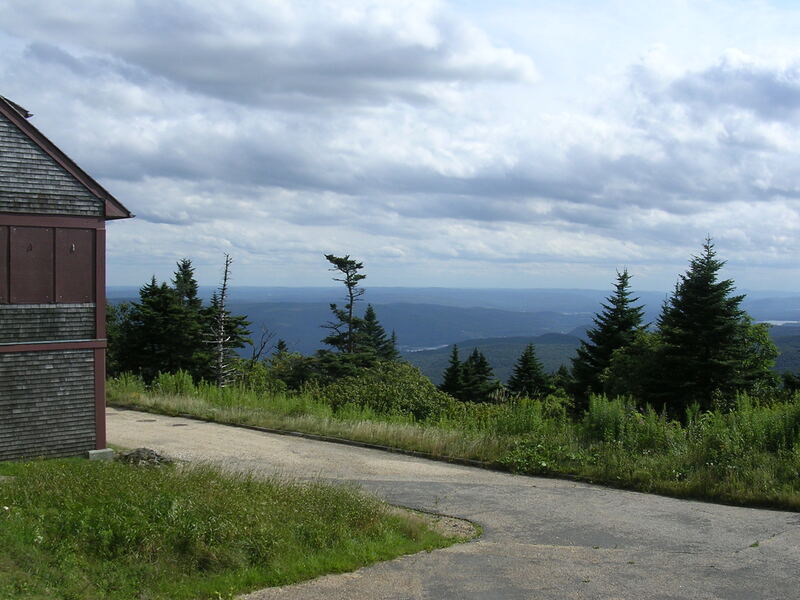 It is also one of the very first places to be set aside for public preservation and recreation in Massachsetts when it was created in 1898 and includes several other mountains like Mt. Williams and Mt. Fitch, all of which are accessible via the Appalachian Trail. View from atop Mt. Greylock. Hiking: Mt. Greylock is a great place to hike and hosts an 11 mile stretch of the famous Appalachian Trail as it winds it’s way through Massachusetts on its journey from Maine to Georgia. 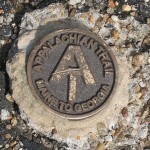 Appalachian Trail marker on Mt. Greylock.Appalachian Trail as it winds its way from Maine to Georgia and passes through Massachusetts. Backpacking: Since Mt. 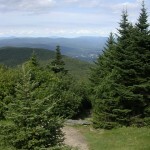 Greylock is on the Appalachian Trail it hosts many overnight backpackers hiking through the park. Backpacking campsites and shelters are on a first-come, first-serve basis. Auto Road: The auto road up Mt. Greylock is a wonderful way to head up to the top of the highest mountain in Massachusetts if you don’t have time to hike or if there are people who are not physically able to hike up the top of the mountain. View from Bascom Lodge atop Mt. Greylock. Mountaintop Dining (in season): The Bascom Lodge atop Mt. Greylock offers fine dining options in season (roughly May through October) and provides a lovely mountaintop view to enjoy with your meal. Biking: There are lots of great paths to enjoy Mt. Greylock State Reservation on a bike, including the access road. There are also several great places to go mountain biking. Snowmobiling: Snowmobiling is permitted on the access road to Mt. Greylock if there is enough snow on the ground (3″ packed snow). Backcountry downhill skiing: Mt. Greylock is the home of the Mt. Greylock ski club and a small members-only ski area. It is all natural snow and there is a lot of backcountry terrain to explore. One of the trails, the Thunderbird Ski Trail. was built by the Civilian Conservation Corps in the 1930’s and provides a unique backcountry experience when there is enough snow to enjoy it. Hunting: Hunting is permitted in season throughout most of the park. If you are hiking during hunting season it is a good idea to wear blaze orange and make sure your dog has some as well if they are joining you. Dog Friendly: Mt. Greylock State Reservation allows dogs as long as they are kept on a leash. 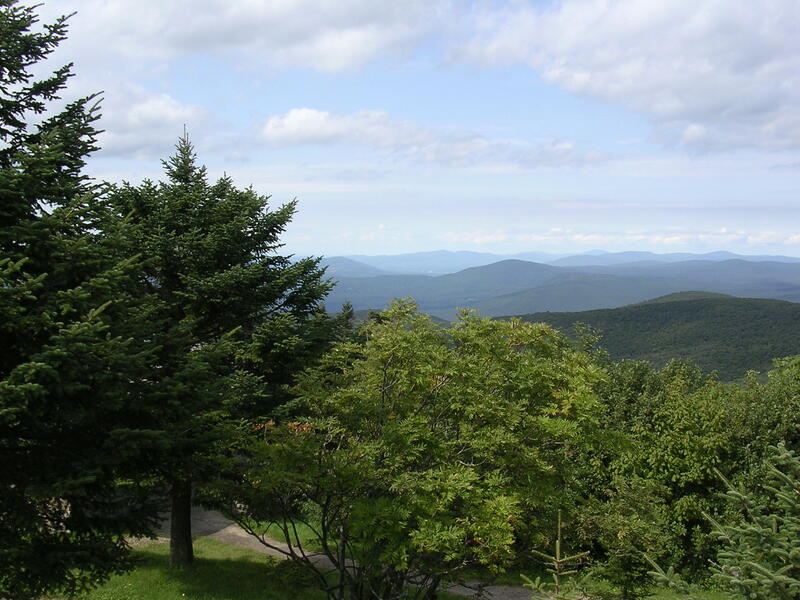 places to enjoy great views of the Berkshires and Western Massachusetts. built by the Civilian Conservation Corps during the Great Depression. The War Memorial Tower and Park at the top of Mt. 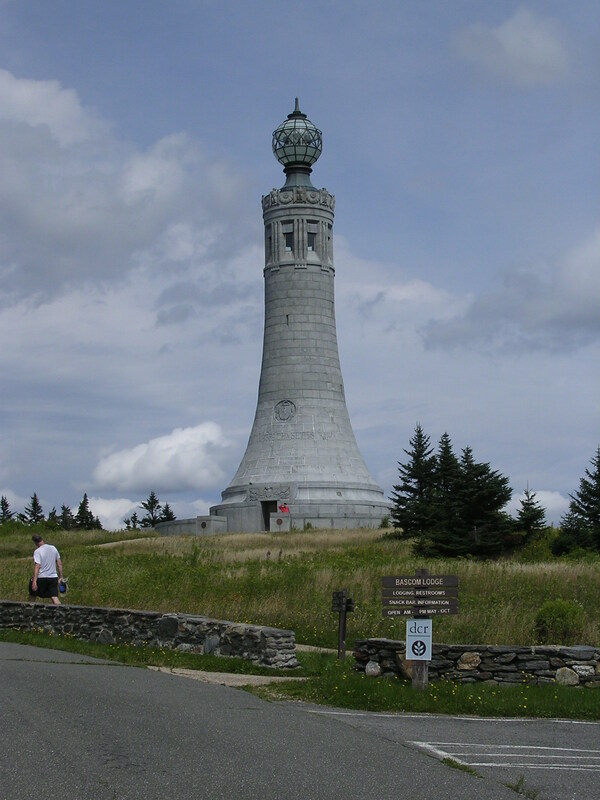 Greylock is a very prominent and graceful tribute built after World War I to honor all of the America’s servicemen who have perished in combat. 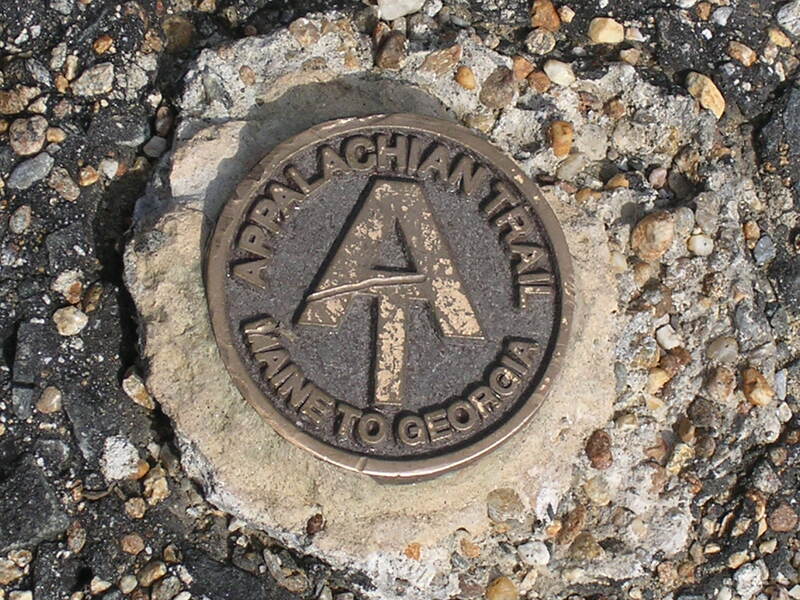 In addition to the shelters mentioned above for hikers on the Appalachian Trail there are some primitive camping sites available for use year round that require you to hike in to use them. For information please go to the following website and please go the following website to reserve a camping space from May through October. 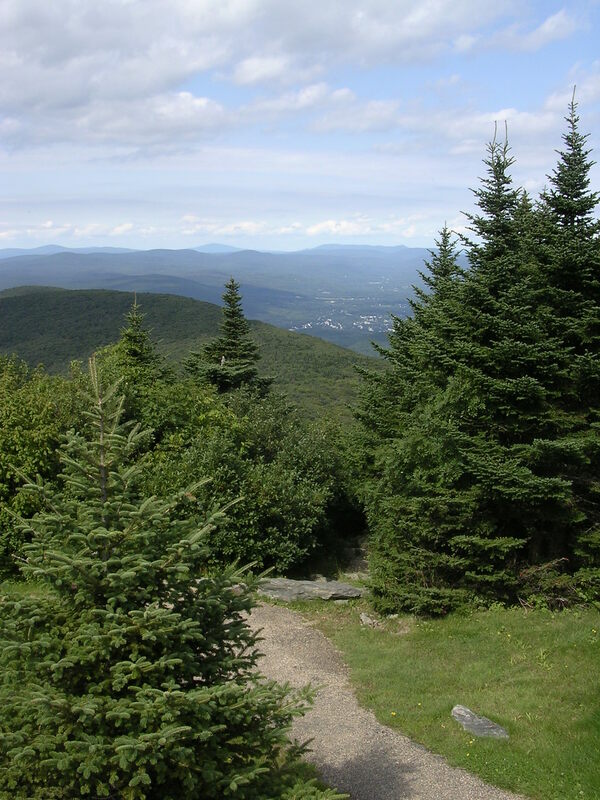 For more information on hiking trails, access point and other information I’d recommend visiting the park’s website and also picking up the Appalachian Mountain Club Trail Guide for Massachusetts, which includes a great map of the reservation and information about hiking trails. 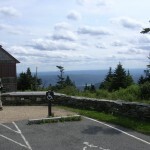 Otherwise, the park visitor center is located on Rockwell Road (the summit road) and can be reached from US Route 7 in Lanesborough and Massachusetts Route 8 in Cheshire (recommended in the summer only). Route 7 can be reached via exit 2 off the Massachusetts Turnpike (Interstate 90) and the turnoff is Scott Road which is just over 5 miles north of the intersection with Route 9 in Pittsfield.